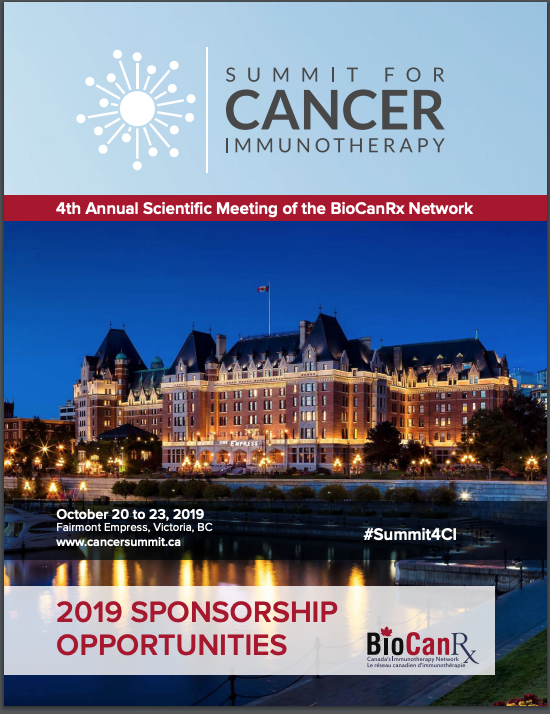 Thank you for your interest in sponsoring the 2019 Summit for Cancer Immunotherapy in Victoria, BC. Industry support helps to make Summit4CI happen! Showcase your message, products and services with a targeted international audience and be recognized for supporting the exciting field of cancer immunotherapy. We look forward to helping you tailor a sponsorship package that meets your company's needs.